Home - Legend Golden Retrievers, AKC Breeder of Merit, Michigan, Home of many best in show dogs bred here at Legend. 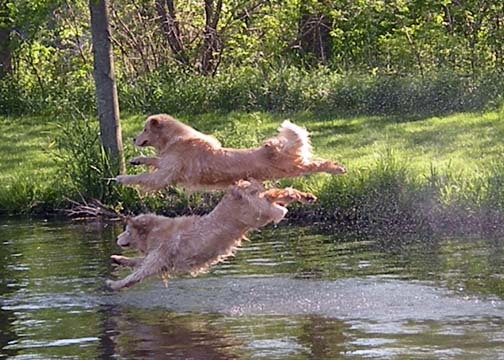 Everything a Golden Retriever should be .... and so much more! What we Currently have available!!! Dedicated to breeding Beautiful Golden Retrievers who are both structurally sound and have great temperaments, and is a welcome member of the family. AKC registered, OFA clear, Cerf cleared, Elbows and Heart Cleared and pedigrees are carefully screened for cancer and other health problems. We have found that 50% apple cider vinegar and %50 rubbing Alcohol mixed into a spray bottle can be sprayed into the ears several times a day to clear up ear infections. Its also very useful for any time the ear might have gotten wet. ( bath, swimming, rolling in wet grass....etc) the alcohol is drying and the vinegar cleans. You cant put too much in or too often. 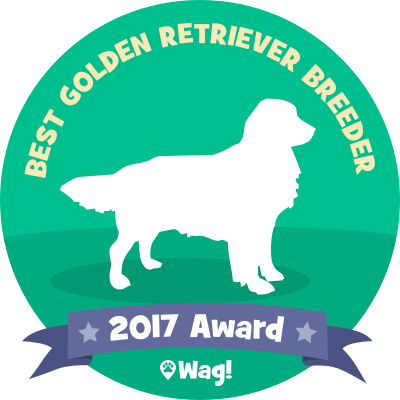 PlayTyme Papillons based in Middleville, MI is a Top 2017 Golden Retriever Breeder!